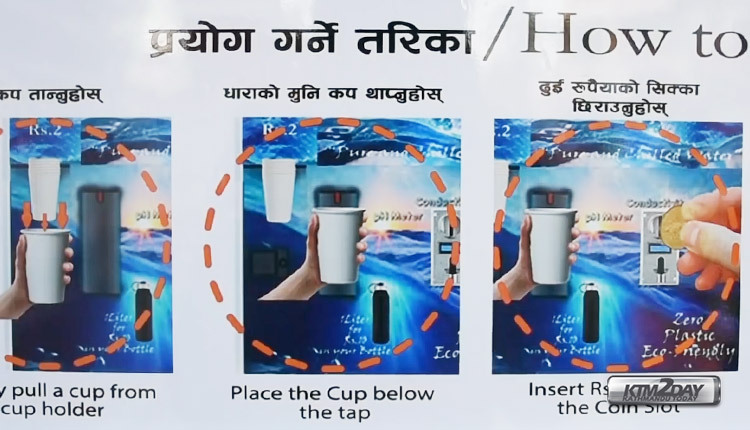 City planners and the public have appreciated Lalitpur Metropolitan City’s most recent move of installing a ‘Water ATM’ or ‘Pani Padhero’ to provide the public easy access to safe drinking water. They, however, said such a service should be free of cost, as water is a basic need and a free resource. The metropolis, in coordination with the Kathmandu Valley Water Supply Management Board, installed the first water booth at Pulchowk, Lalitpur, on Tuesday with an investment of around Rs1 million. Anyone walking through the road section can drink 200 ml water in a paper glass by inserting a two rupee coin in the machine. Those wanting to fill a one-litre bottle need to pay Rs10. Urban planner and former secretary Kishore Thapa lauded the initiative as a good move. “This is a good move, but the water should be provided free of cost,” said Thapa. Those who’ve used the machine have echoed Thapa. “The government should provide water for free instead of taking money. It is in our tradition that we provide water to people free of cost,” said Sama Bahadur Joshi, who had come to see the machine in Pulchowk. While inaugurating the ATM, Water Supply Minister Bina Magar said that the initiative would help the general public have easy access to safe drinking water and also help discourage the use of plastic bottles. She also said that the board is planning to install 20 more water ATMs in the Kathmandu Valley. When the Post reached out to Nabin Tiwari, civil engineer at the Management Board, to inquire as to why they are charging money, he said, “Our intention is not to make profit. We are going to use the money to operate the treatment plant. That is why we’ve set nomimal prices,” said Tiwari. He said after instaling 20 water machines, the board will look into the price issue. 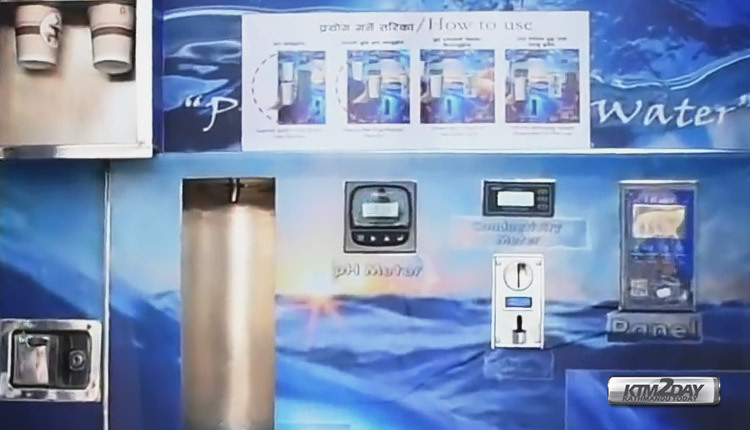 While the Lalitpur Municipality will provide security to the water ATM, the board has given Suping International, a private water filtration company, the responsibility of maintenance and operation works of the machine for three months. The board will pay Rs20,000 per month to Suping International to keep a staffer to run the machine.